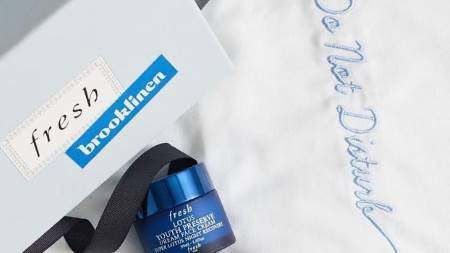 Brooklinen recently launched a beauty sleep box with fresh anti-aging lotus youth preserve dream cream night moisturizer. 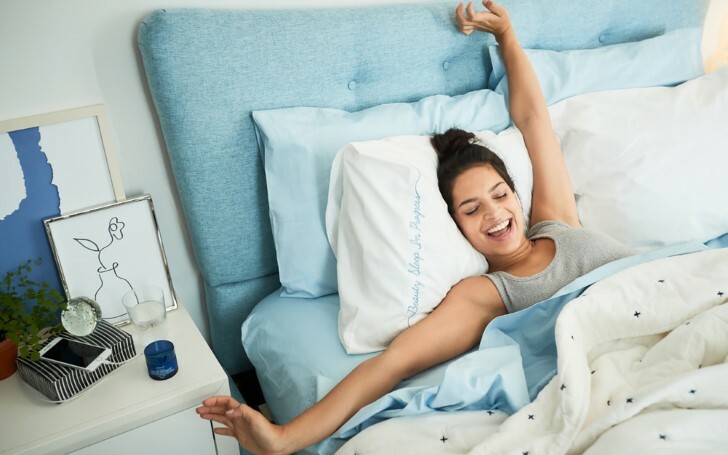 Like we were already not struggling enough to get out of the bed in the morning, Brooklinen wants to make it even harder. The luxury brand Brooklinen launched a new product like never before. Thankfully, now our bedroom will be upgraded into a dreamy transformation. Collaborating with beauty brand Fresh Beauty, Brooklinen is ready to bring us the most luxurious sleep. You may also like: Is Bella Hadid Bringing Back The ’80s Vibe With This Over The Top Accessory? In their new products, they launched Fresh’s anti-aging Lotus Youth Preserve Dream Cream night moisturizer and Beauty Sleep Box with Luxe pillowcases. The Beauty Sleep Box product includes two customized blue embroidered white pillowcases in Brooklinen’s signature buttery-soft Luxe fabric along with a Fresh’s new Lotus Youth Preserve Dream Cream night moisturizer with a weight of 50 ml. As a matter of fact, the standard sized pillow counts it thread to 480. The cases are even machine washable. The Lotus Youth Preserve Dream Cream is an ultimate night moisturizer. Like no ordinary moisturizer, this dream cream enriched with lotus and peach extracts helps your skin look flawless. Besides, the anti-aging Lotus Youth Preserve Dream Cream also helps in hydrating your skin further promoting your skin to look rested, more youthful and refreshed. You can get The FRESH X BROOKLINEN LIMITED- EDITION BEAUTY SLEEP BOX SET for just $98.00 from its official stores.